Tailored home loan guidance for every life stage. Our experience isn’t expensive – it's priceless. Don’t pay too much on your mortgage. We’ll show you how. Find the loan that’s right for you. At Blackburne Mortgage Broking, we think you your finances deserve the best. 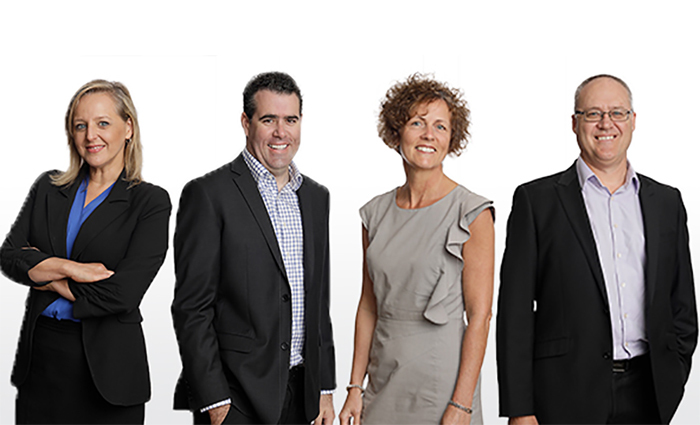 Our experienced Perth based team are dedicated to finding the right home loan solution that’s tailored just for you. We compare hundreds of loans in the market, so you don’t have to. As your unbiased advocate, we’ll work tirelessly to ensure we get the best result from your bank every time. What does Blackburne Mortgage Broking do? Find a great deal on a loan - whatever your requirement: Whether you are looking for an owner-occupier loan, investment property loan or construction loan we can help you through the process from start to finish. And that’s just the beginning. Tailor an optimum finance solution for your needs: Finding a suitable home loan is not always easy, but our brokers will partner with you to put you and your finances on the right track. Guide First Home Buyers through their first purchase in an easy to understand way: Purchasing your first home can be daunting. Our team can guide you every step of the way, making your first home purchase memorable – for all the right reasons. Make the process of refinancing simple and stress free: Too many mortgage holders are paying more that they need to because they believe refinancing is “too hard”. Nothing can be further from the truth. There is no need to pay more than you have to on an old and expensive loan product – let us show you how. Offer real-life tips on how to pay off your home loan quicker: If you want to be debt free sooner and live your best financial life our brokers can give your real-life tools to show you how. Restructure your lending portfolio to save you on interest and maximise your returns: Our brokers are the property investor’s preferred broker. With experience in structuring complex scenarios and assisting you in your wealth creation goals. Blackburne Mortgage Broking were great from the moment I walked in. I knew what my limits were and they helped me get everything I possibly could inside my financial limits. All communication was clear and processes were explained step by step. I was constantly informed of progress and would highly recommend Blackburne Mortgage Broking. As a first home buyer the process of getting finance approval can be confusing and stressful, but my broker at Blackburne Mortgage Broking was very professional and had great knowledge of the products and processes suitable for my circumstances. Communication was great with fast replies to emails and phone calls which helped a lot with understanding the processes involved. I can’t thank Blackburne Mortgage Broking enough for their continued great service. We have been with them for three years and still cannot fault the service. The team is proactive, thoughtful, informed and professional. They have assisted us through some really challenging situations that would have been stressful without them, and have consistently negotiated killer rates for us. Working with them is like working with family, especially with the wonderful events they organise. Thank you. Blackburne Mortgage Broking are always accessible, always returned my calls and are always keeping us up-to-date with phone and email feedback. They have great knowledge of the market and products, when an issue came up with our first choice another product was identified very quickly that suited our needs. Blackburne Mortgage Broking is part of the Blackburne group of companies.